“Have you ever wanted to try one of those fancy alarm clocks that mimics the sunrise to wake you up? Do you want to add some colored lights to your room? Do you want to control it all from any device with an internet browser? Then check out this alarm clock I made using what I learned building my automatic fish feeder. 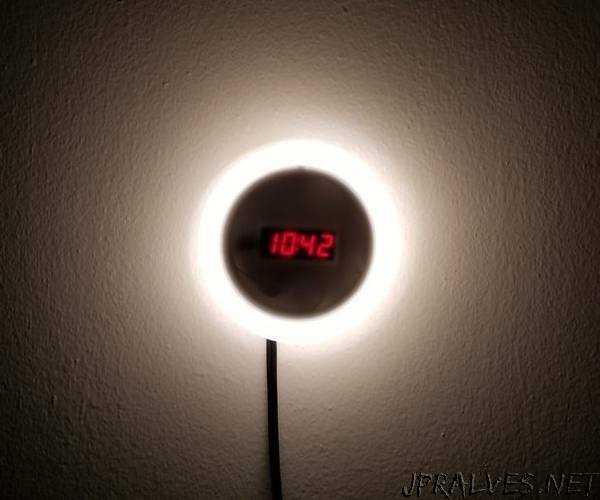 The Light Alarm’s main purpose is to make sure there is light in my room when I wake up, especially in the winter time when it’s usually still dark out. The light fades in for a predetermined length of time that ends in full brightness at the set alarm time. But that’s just the first mode, there are 7 other lighting modes to play around with!